The origin of window blinds and coverings dates back to about 3000 years, to the ancient Egyptian era when the Pharaohs used blinds made from reeds. Ancient Chinese civilizations also used bamboo strips for making blinds. In the 19th century, the most expensive blinds were the cloth made home-roller blinds. However, window blind design first fructified later. Although records show that St. Peters church in Rome, in 1761 actually installed the first shades, much of the official credit goes to inventor Edward Bevan whose patent for the first venetian blind in London on 11 December 1769 still stands. Window Blinds and window coverings are much the same thing. While window blind is also another form of window covering, and some refer to it as window shades they use diverse materials and systems that include thin and narrow pieces of fabric, plastic, Wood, Faux Wood, Vinyl or aluminum metal that fit into each other by overlapping, and you can adjust from an open to closed position by rotating them. Some of these window blinds use just a singular fabric or alternative material for this purpose. Though they serve the same purpose, some people make out a small difference between window blinds, which they attribute more to include, roller blinds, shutters, wood blinds, honeycomb shades, standard vertical and horizontal blinds and of course , Roman and folding blinds; and window coverings, used to manage the sunlight that can include curtains, drapes. However, though the Americans use window coverings on the inside of windows, you can find external solutions as well. You would do well in considering the best options for covering your windows using both shades and blinds alone or along with the drapes. The market offers a range of options, with diverse types and styles that will spoil you for choice. Keep your needs in mind and do your shopping wisely. You can read below about some of the different types of window blinds and coverings. These probably represent the most basic form of window coverings, and contain a wooden roller mounted on top of the window, with a flat length of vinyl or other material wound round it. 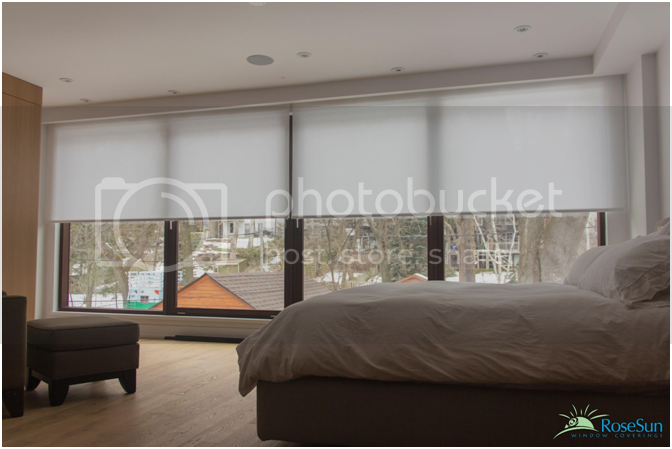 You can use the roller blinds alone or pair them with other soft window coverings to regulate your privacy or the quantum of light. Being moisture resistant, they are ideal for kitchens and bathrooms, or literally any room in the house. They come in an array of irresistible colors, and help to block light when lowered, while otherwise they are almost invisible and you can see some of the modern blinds in Soft Translucent, Sun Screen, Suede Printed, Bright Translucent, Fluff Blackout, Lush Blackout and many more designs. For economy, try DIY kits. Ideally suited for custom shaped windows including those in an arch shape, the cellular shades remind you of a wonderful collection of tubes, and help to insulate your rooms from the vicissitudes of the weather. You can find them in a variety of opacity options, in triple, double, or single design, depending on the degree of insulation you need, with options for opening them laterally, lowering from top to bottom, or even raising them from the bottom. Matchstick blinds, made from uneven bamboo strips, normally available in pleated or rolled styles, offer aesthetic beauty to modern rooms, but do not really have a functional role in light regulation, or in providing insulation from the cold or the heat. They do nothing more than create a relaxed ambiance. Also called sunshades, the solar shades that come in a variety of colors and textures, not only contribute to the aesthetics, but also have the following major properties. Ideal for application in any interior style, and available in different finishes, colors and sizes, the versatile and simple pleated shades offer good light and abundant privacy. You can install them to lift from below or roll down from the top. Window shutters, with their excellent qualities of insulation against the cold and the heat, still offer the old-world charm, and the proper regulation of light and privacy you need. You can use them to cover a window fully or in parts. Those who do not consider cost as a factor can consider using the expensive Louvered blinds with automated remote control sensors for motorized application. You will experience the amazing impact of vane spacing, shape, and color that these blinds bring to bear on the aesthetic and thermal aspects. Louvered Venetian blinds use an organized combination of horizontal slats, fastened by cloth or a chord passing through slots at the edge of the slats, facilitating lowering or raising the blinds, when they stay stacked at the window top. These are the best options for control of light and outside view. The other types of window coverings include the drapes, the curtains, the roller, and the venetian blinds. All of them serve to regulate the required transmission of light in some way or the other, and have proven their worth as low-cost, aesthetic, user-friendly, and energy-saving options in a range of materials, colors, weaves, and fabrics. 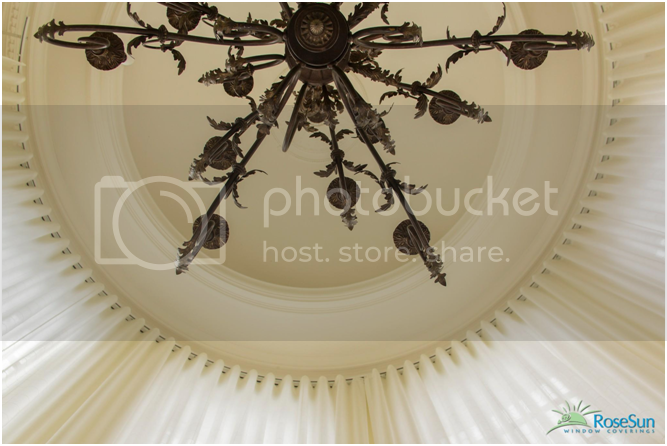 Curtains and drapes are fabric interior attachments to a window and cater to the interior aesthetics of a room, and cover the length of a window, or reach up to the floor. You can improve their thermal performance by having them floor-length in special thermally lined material. Among the special shades, you come across the pleated, Roman, and other inimitable blends that smack of functionality and visual impact. The range of fabrics, their weight quotient, types and colors add to their romanticism. The pleated shades are economical and simple, while the Roman shades use heavier fabric, and sheer shades combine aesthetics with glare control to offer a softer view. -this article was researched and written on the behalf of RoseSun Window Coverings, a leader in automated blinds and retractable screens in Toronto. I love blinds but now I prefer curtains. I like changing curtains according to my mood. I never knew there were so many different types of window coverings. We have regular blind right now, but would love the wooden blinds.